Where multi-way fibre cables, fitted with Lemo SMPTE304 connectors, are used to provide a point-to-point link, these break-out boxes split a two-channel or two two-channels to a variety of other formats, including SC, ST, duplex LC, opticalCon Duo SMPTE and opticalCon Quad connectors, depending on model. 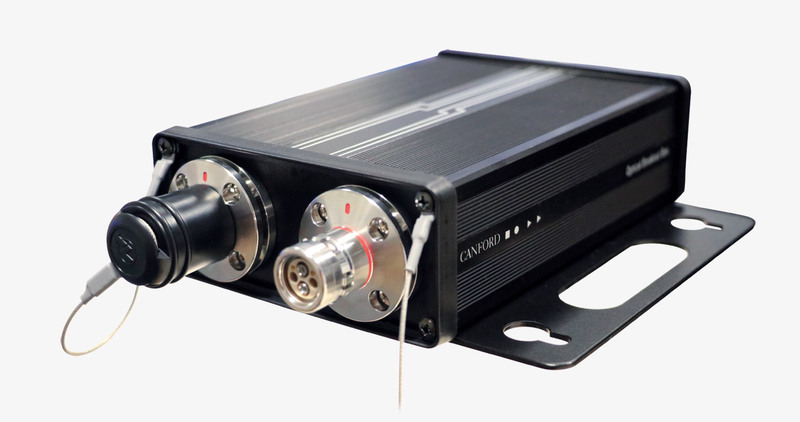 The connectors are mounted in a rugged, extruded enclosure, suitable for use in broadcasting and live-event environments. These designs are assembled to order, using stocked modules, in short time scales. Alternative configurations, such as mixed LC, SC and ST connections can also be accommodated, subject to quotation. The enclosures are black anodised aluminium, with aluminium alloy end-plates and reverse printed labels; graphics show internal configuration. ABS bezels fit over the ends giving good protection to the box. All connectors are fitted on the end-plates, within the bezels. The enclosures are fitted with an black, aluminium plate, cut to provide a carrying handle, which can be used to restrain the box, as well as two 'key-holes' for mounting screws, for use where a more permanent fixing is required. The 'key-holes' match rack-strip spacing. Enclosure dimensions: 160 x 110 x 47(l x w x h)mm, over the bezels. The handle plate protrudes 33mm from the enclosure. The Lemo 3K.93C stainless steel connectors incorporate the highly-reliable Lemo push-pull latching system and are suitable for up to 20,000 mating cycles. With correct care and cleaning, the fibre contacts are also suitable for this level of endurance. EDW types are panel sockets, FXW types are panel plugs. LC duplex, SC simplex and ST connections use Senko professional fibre through-couplers. These have tight-tolerance housings and precision ferrules to ensure exceptionally accurate connector alignment and fibre-face contact. This ensures lower loss and greater reliability than commercial grade types. The LC and SC types have an internal 'light shutter' which although not an environmental seal, does offer some protection from large particle ingress and protects against laser spillage from unmated 'live' ports. All couplers are furnished with tethered dust-caps. 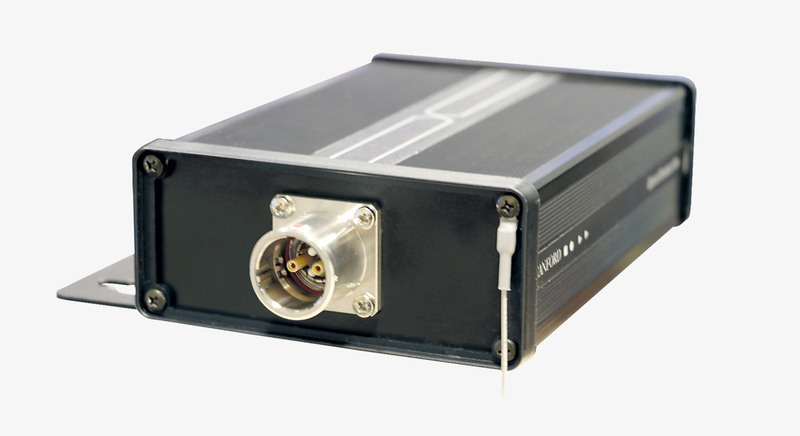 The Opticalcon connectors are designed around the duplex LC optical connector, housed in a rugged latching body. Opticalcon Duo types, only, will accept either Opticalcon Duo assemblies or standard LC connectors at the front face. 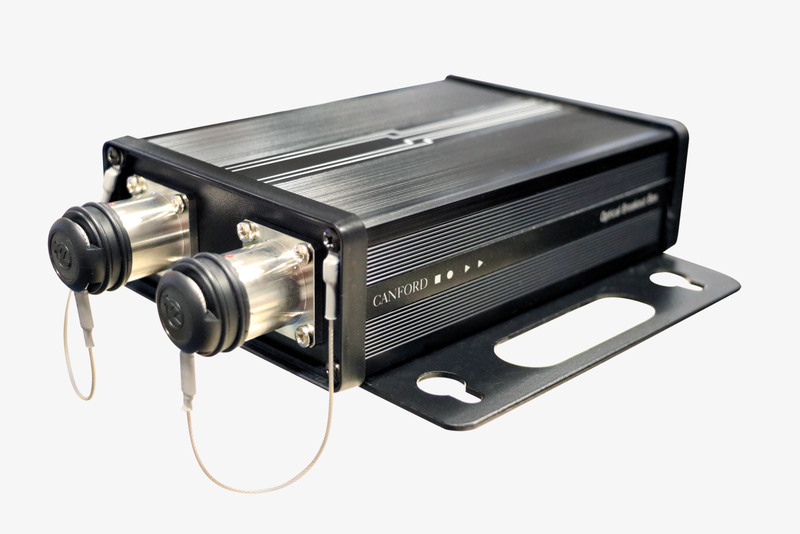 Opticalcon Quad will only mate with Opticalcon Quad cable assemblies at the front. Fibres within the chassis connectors are protected from dirt, when un-mated, by integral, automatic, sealing-shutters with silicone gaskets, which lift when the connectors are mated. The shutters also block laser emission, should a source be left switched on inadvertently. These boxes use Opticalcon Duo NO2-4FDW-A/1 (46-4004) and Opticalcon Quad NO4FDW-A (46-4032) types. Colour coding: The Opticalcon connectors are fitted with blue gaskets, colour-coded to indicate that they are single-mode type. LC and SC connectors are also colour coded. (1): The main connection, for the point-to-point link. Optional accessories: See SMPTE 311M cable assemblies for compatible cable assemblies. Also see Fibre optic patch cords and see Neutrik Opticalcon connector system.